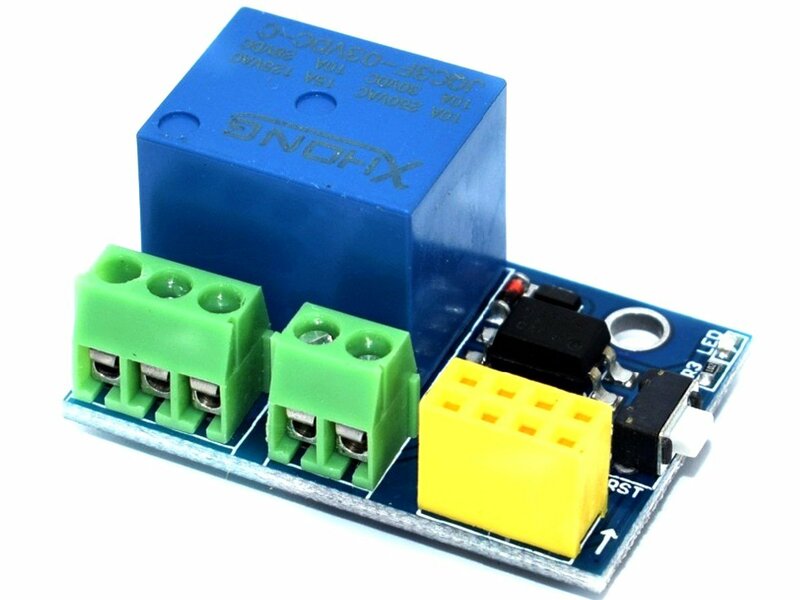 Relay module for ESP-01 ESP8266 WiFi module (EAN 4260474032099). Operating voltage 5VDC, max. switching voltage 250VAC or 30VDC at 10A. The ESP-01 WiFi module (not included) hooks up right to the relay module, for the possibly easiest way to switch any load using a WiFi network.